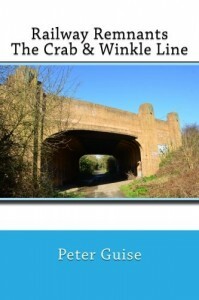 The Trust is pleased to announce that a new book on the Crab & Winkle Line has been published. It is available on Amazon. A ramble and rummage along the Crab & Winkle Line in Kent in search of what is left of the railway that once connected Canterbury and Whitstable. This book is the second in a series of such searches for Railway Remnants. It includes a section on the Trust dedicated to remembering and promoting the line. This book will be of interest to railway enthusiasts, railway historians, all walkers and those with an interest in how the British countryside has changed over time.